Just about made it! Couldn’t let the day go by without contributing a last vase to Cathy’s beautiful meme, a last vase for 2018 that is. 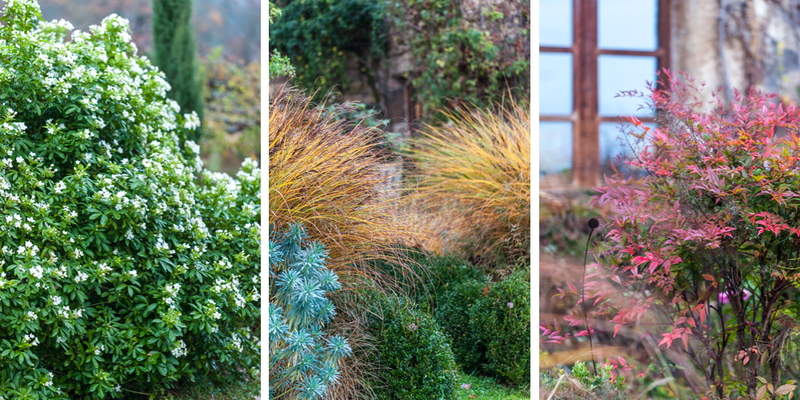 😉 While winter has truly arrived in our Swiss mountain village, it’s still very mild and colourful in our French garden. The past two days were wet and grey but we shan’t complain as it has been far too dry for far too long. Today’s vase features hazel catkins and a twig of Jasminum nudiflorum about to burst into flower. Choisya ternata and Elaeagnus are still covered in scented flowers, and my Dahlia imperialis and Tetrapanax have been flowering for the first time this year – so exciting! Not long now and the days will be getting longer again. 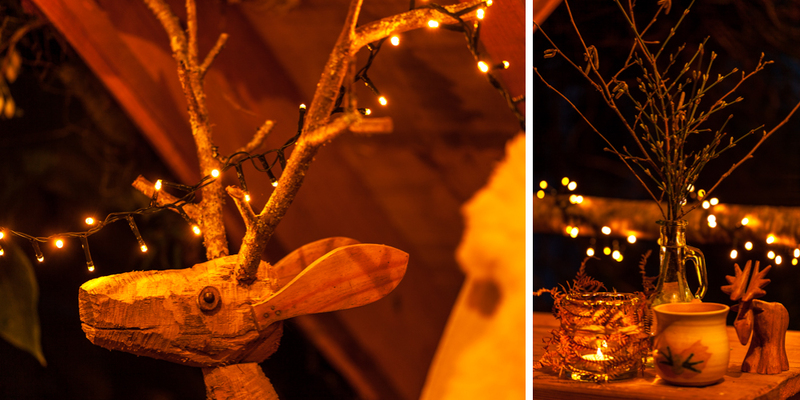 Treetops, our little hideaway, is getting into a festive mood. Thank you so much for keeping me company throughout the year, for all your lovely comments and for inspiring me. I wish you all a peaceful xmas and hope you’ll be able to enjoy a proper break, away from it all. Don’t forget to check out the vases of my blogger friends over at Rambling in the garden. Gerade noch geschafft! Ich konnte den Tag nicht vorbeigehen lassen, ohne eine letzte Vase für 2018 beizusteuern. 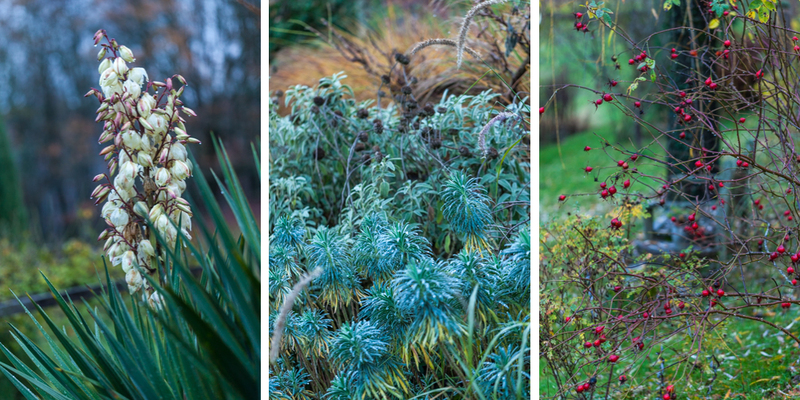 Der Winter hat unser kleines Schweizer Bergdorf schon fest im Griff, aber in unserem französischen Garten ist es noch sehr bunt und mild. Die letzten zwei Tage waren nass und grau, aber ich beklage mich nicht, da es viel zu lange nicht geregnet hat. Für die heutige Vase habe ich Haselnusskätzchen und einen Zweig Winterjasmin (Jasminum nudiflorum) gepflückt, der kurz vor der Blüte steht. Choisya ternata und Elaeagnus sind noch immer voller duftender Blüten. Dahlia imperialis und Tetrapanax haben heuer zum ersten Mal geblüht – so aufregend! Nicht mehr lange und die Tage werden wieder länger. In Treetops, unserem „halben“ Baumhaus herrscht schon Weihnachtsstimmung. Vielen Dank dafür, dass ihr mich das Jahr über begleitet und inspiriert habt und für eure lieben Kommentare. Ich wünsche euch allen frohe Festtage und hoffe, ihr könnt euch richtig entspannen. Schaut euch bei Rambling in the garden die hübschen Vasen meiner Bloggerfreunde an. 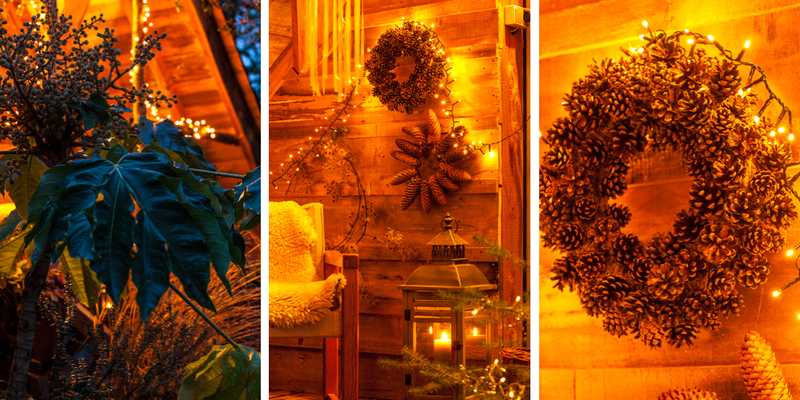 The glowing photos of your holiday-decorated porch are truly splendid, Annette. And I know many people who’d be very jealous over your flowering Tetrapanax and Dahlia imperialis, myself included! I hope you thoroughly enjoy the Christmas and New Year holidays in your Swiss hideaway! Your hideaway looks so gorgeous. 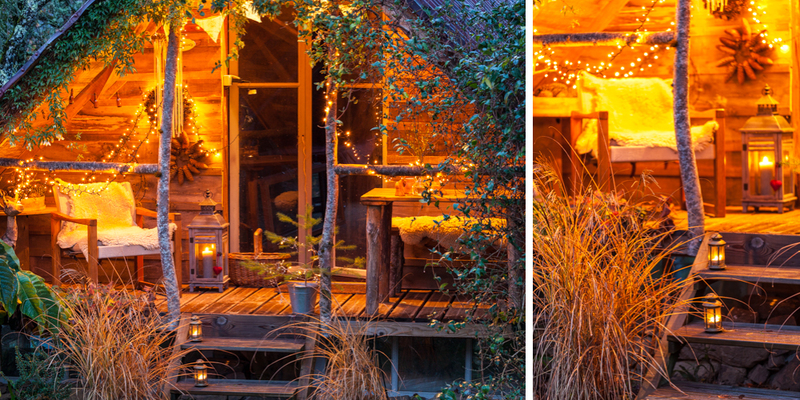 I love the warm glowing light and the fairy lights, and the warm colours of the wood. 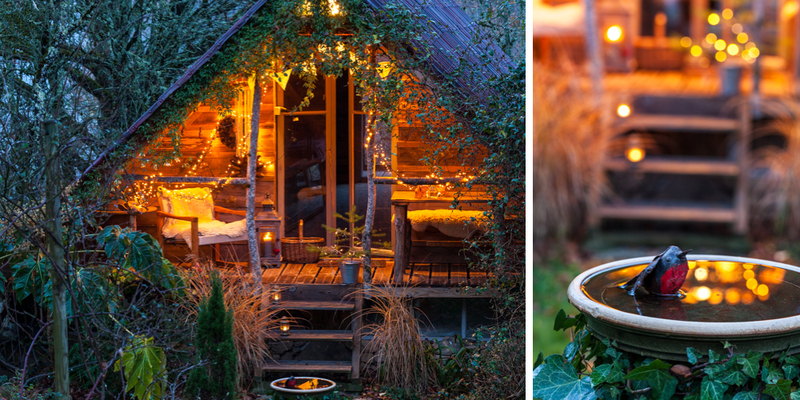 Awww, I want a hideway like that for Christmas! Or I would at least like to rent it for some time away from it all. 😉 Looks like a dream, absolutely marvellous. With the snow and cold that we’ve been having here in Southern Germany your flower pictures look almost unreal. it is all pine, mistletoe and holly around here. One of my Helleborus plants in the garden had buds when I checked on her last, but with the snow I cannot see anything now. Well, it seems to be getting warmer – we’ll probably have spring temperatures again by the time Christmas rolls around. Thank you for your lovely card, Annette! My snail mails is probably still on its way to France. I do hope you will get it before Christmas. Much love and Merry Christmas to you and yours! Gorgeous atmospheric photos. How wonderful to have flowers on Dahlia imperialis. I grew one from seed years ago and though it lives in the greenhouse it never blooms. It grows so tall that its head sticks out of the window and gets frosted.